Nintendo Launches 'Switch', A New Gaming Console For $299! After the success of Super Mario Run last year, Nintendo has finally launched their much talked about gaming console- Switch, which goes on sale from today. At its debut launch, the console comes with a price tag of USD 299, which is to compete with Sony’s flagship console PlayStation 4. The Kyoto-based gaming company is aiming to sell more than two million Switch devices in its first month, with people already lining up at the street to get their hands on the new gaming device. The ambitious gaming console is company’s seventh major home console, which is termed as “hybrid” console, primarily because Switch has a removable screen that lets players dock it to their TV screens while they can also use it as a tablet by simply detaching it from the dock and using it with detachable controllers (both sides) – which are known as Joy-Con. Nintendo received a lot of flak for its new console from press due to a number of reasons– being over-expensive, poorly explained and a small launch library on the console, which any gamer would not want at the price it is available. However, Research firm DFC Intelligence is predicting that the Switch will sell 40 million units by the end of 2020, just 3.8 years after its release. Now, if the projection is compared with Xbox One sales which clocked 25million in a similar time frame after its launch, then Switch might jump to second position. Although, PS4 had sold 53.4 million units (same time frame), which is outstanding, and will still lead the position in market (in number of sales). In past years, Nintendo has scored hits with traditional home consoles, such as Nintendo 64 or GameCube and portable devices like Gameboy and the DS handheld. “Switch is probably one of the most important consoles for Nintendo in the past decades,” said Serkan Toto, a Tokyo-based gaming industry consultant. “(It’s) the first time where Nintendo basically combines portable games and home console games into one device, into one platform.” But trying to score a win in two different markets is risky, Toto added. “Some people could say that Nintendo is trying to kill two birds with one stone and that it could actually land in the middle and not really catch any of the target groups,” he said, as cited on ET. Critics are still not convinced with Nintendo’s pricing of the console, as the market seems to be jittery at the moment, and Nintendo has mainly priced the console for its technology. Response noted from many investors has been cold so far. Since its first look in October, Nintendo had also suffered a setback of 17 percent in stock market, however, that was mainly due to its much popular game- Super Mario Run was a huge disappointment. 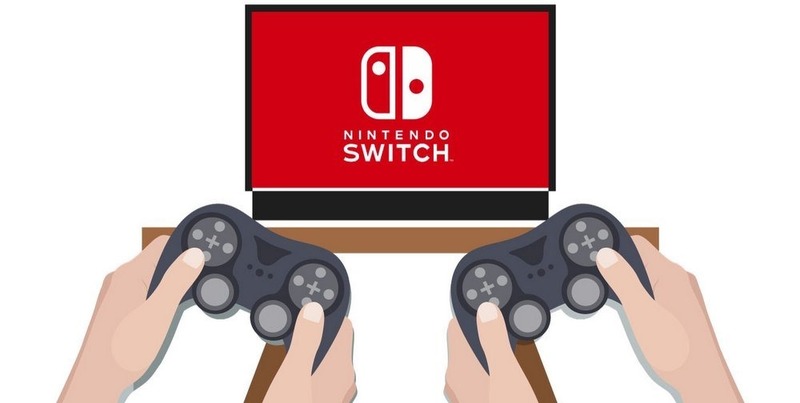 Keeping the snags aside, Nintendo has definitely stepped up its game better than the usual gaming consoles, which are still competing in terms of “evolution”, as eventually Switch provides users with the sense of comfort of having a home gaming console and tablet gaming console in one device. "Nintendo Launches 'Switch', A New Gaming Console For $299! ", 5 out of 5 based on 3 ratings.